If you like great photos, look no further! Here’s a selection of behind-the-scenes photos posted on UN social media accounts from around the UN system over the past few weeks and shared with our social media team. We’ve also included some photos taken by fans and followers. Thank you to all who contributed! 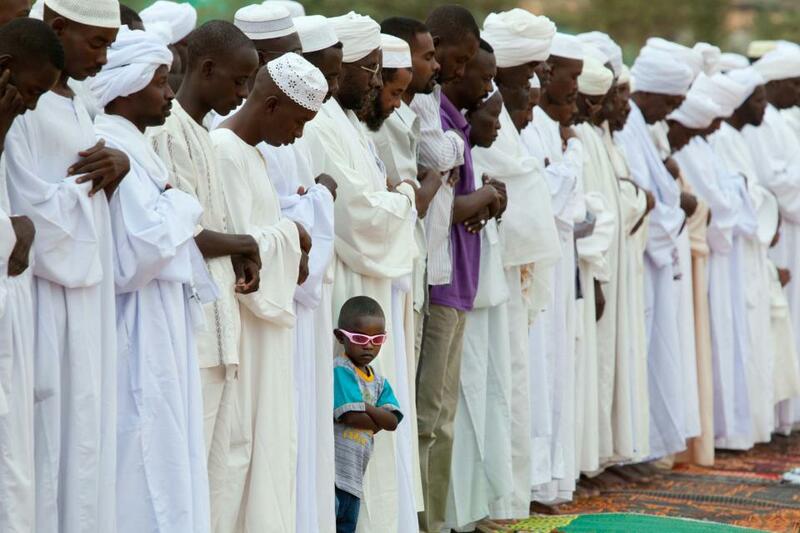 Morning prayer for Eid al-Fitr, the feast marking the end of Ramadan, in El Fasher, North Darfur. Photo by Albert González Farran. More about the United Nations-African Union Mission in Darfur (UNAMID). Follow @UN_AUinDarfur on Twitter. 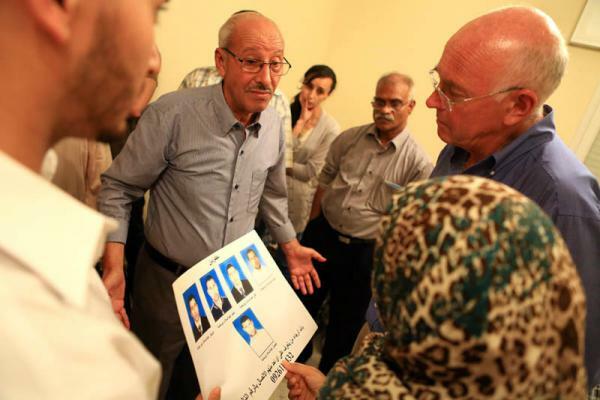 Ian Martin, Special Representative to the Secretary General for Libya, listens to a father talk about his five sons who went missing during the conflict. @UNSMILibya. 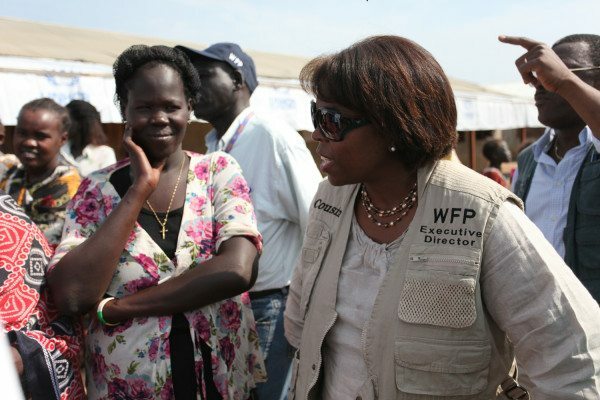 World Food Programme Executive Director Ertharin Cousin visits South Sudan to meet with the mothers and children being helped in “the world’s newest nation.” Photo posted by @WFP. USA Basketball Olympian and NY Knicks player Tyson Chandler ( @Tysonchandler) visited Tanzania where UNICEF is working on clean water initiatives and more. Follow Tyson’s experience on Twitter at #Tyson4Unicef. Southern Lebanese students continue vocational training on International Youth Day as part of a United Nations Interim Force in Lebanon project. Photo posted by @UNIFILSpokesman. 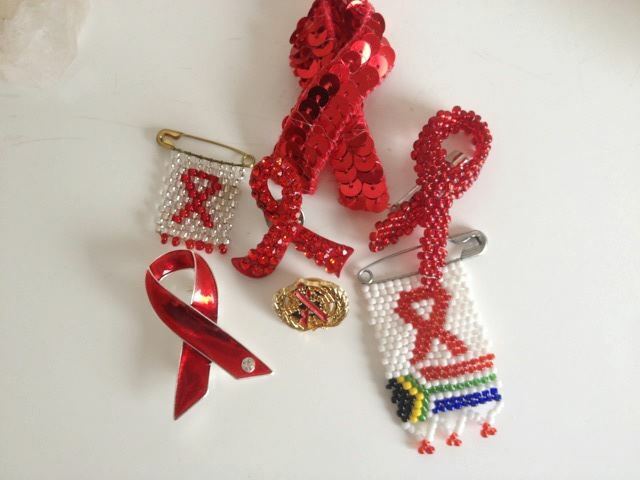 Goodwill Ambassador and singer Annie Lennox posted this photo, including a UNAIDS badge. “I always feel proud to wear them,” she said. 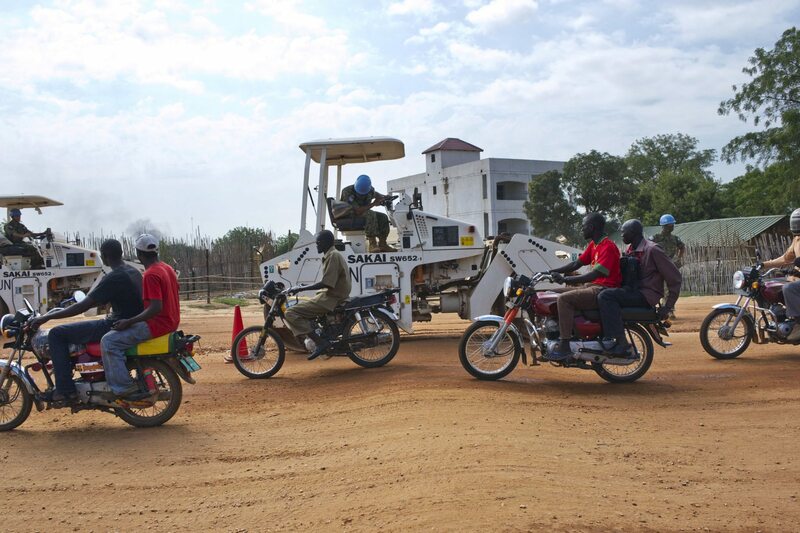 Peacekeepers from Japan upgrade roads around Juba, South Sudan. Photo posted by @UN_Photo. More on the UN’s mission there, UNMISS. 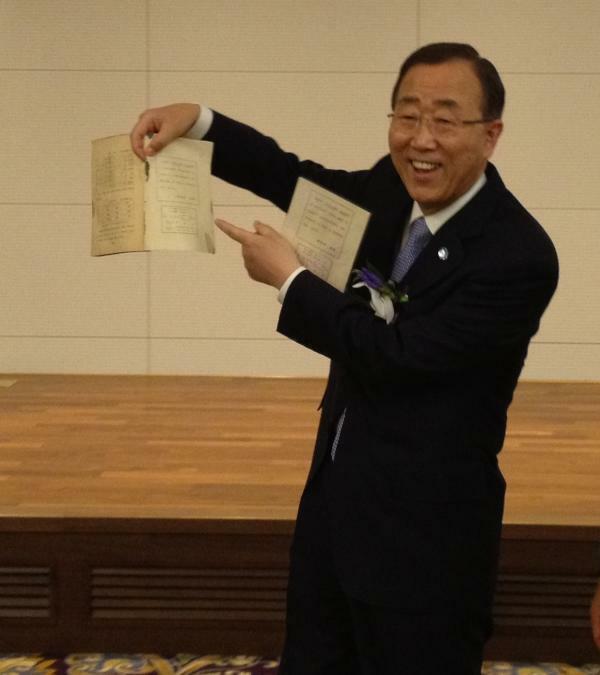 During a trip to his home country, Secretary-General Ban Ki-moon shows youth in Yeosu, Reputlic of Korea UNESCO text books that he used as a child, while promoting education. Photo posted by @UN_Spokesperson. Under-Secretary-General for Humanitarian Affairs and Emergency Relief Coordinator Valerie Amos (@ValerieAmos) traveled to Syria where she met with people affected by the conflict. More on her visit here. The World Food Programme (@WFP) helps feed millions of people every year. 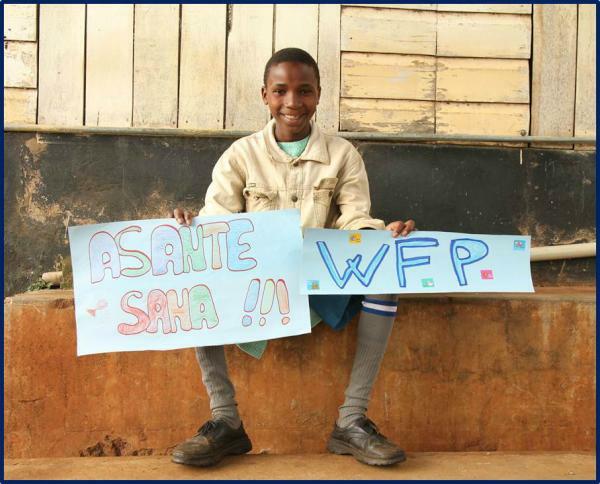 Here’s a thank you from a child in Kenya! 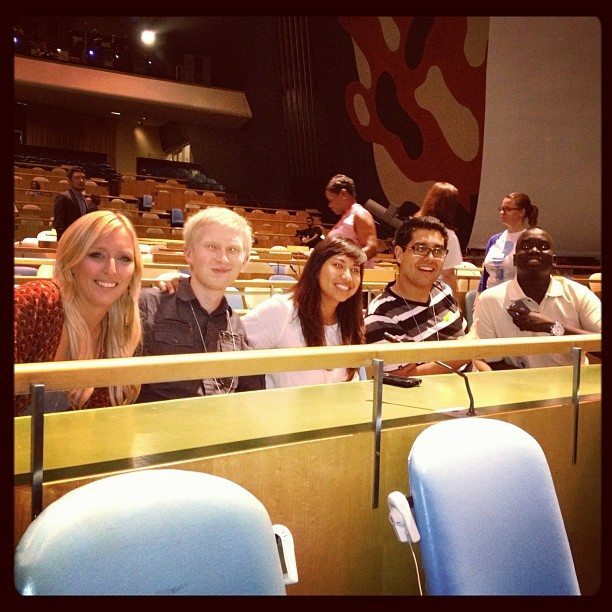 Winners of the Do Something campaign anxiously await Beyoncé’s World Humanitarian Day performance in the UN General Assembly Hall in NYC earlier this month. Photo posted by @ravmo. Watch the video here! 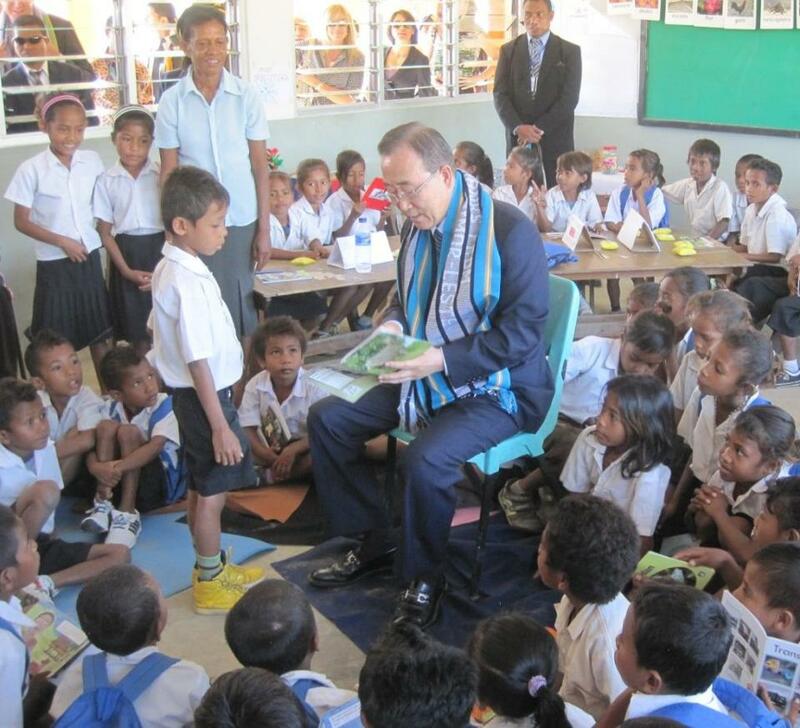 In a visit to Timor-Leste this week, Secretary-General Ban Ki-moon sat down to read with children, highlighting the role of education for the country’s development and his new “Education First” initiative. Photo from the Office of the Spokesperson for the Secretary General. If you have any photos from UN offices around the world, share them with us by mentioning @UN on Twitter and we may feature them here in an upcoming post.